Sky Habitat @ Meldrum Hills, enter sky-inspired living. MB Luxury series. 2 bedroom units (seaview) starting from RM568K, open for sale to foreigners. Take a new look at city living. There’s a multitude of excitement to explore in the heart of the city. 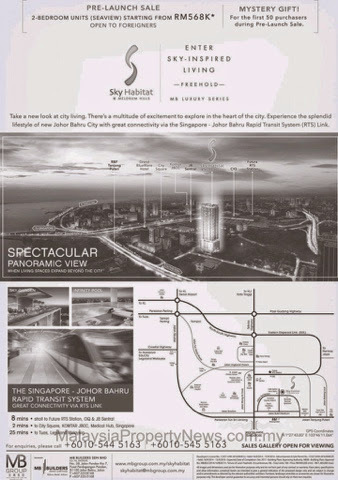 Experience the splendid lifestyle of new Johor Bahru City with great connectivity via the Singapore, Johor Bahru Rapid Transit System (RTS) Link.